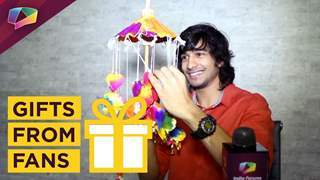 This thread is for all Reyaansh-Kriya KriYaansh and Amar-Shakti ArSha fans. Kunwar Amarjeet Singh: He was one of the finalist of Dance India Dance season two and was under Terence Ki Toli. 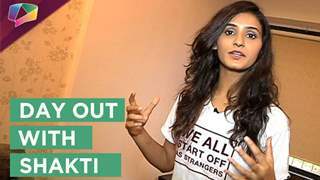 Shakti Mohan: She was winner of Dance India Dance season two and was under Terence Ki Toli. This is a thread for Reyaansh-Kriya KriYaansh Amar-Shakti ArSha fans. If you don't have anything nice to say about them or the actors who portray their characters, please refrain from posting here as this is an Appreciation thread. Constructive criticism is definitely allowed. Just no outright hatred and bashing. Discussing other characters/couples/actors is not allowed unless in relation to Reyaansh-Kria or general episode discussion. Reyaansh- The cool dude, the most wanted guy - meet Reyaansh , the guy most girls dream about. Handsome, charming and a great dancer, he seems to have it all. He and Sharon are the dancing couple of St. Louis College. But his interest in Sharon does not go beyond dance. Though he was born with a silver spoon, unlike the other rich 'brats', he's not averse to making friends from the wrong-side-of-the-track. Kria- The only child of a single mother, Kria is completely over-protected Her mother works for a bank and takes a job transfer to Mumbai so that she can be with her daughter who is going to study in a college in Mumbai. As expected, they share a tashan walla love-hate relationship. Kria is defined by her love for dance; and this is the only bone of contention between mother daughter since Smriti, her mother, is against the idea of Kria dancing and Kria tries hard to keep her love for dance out of her mother's sight... Bratty, but brave. Channel [v] Wishes You All A Happy Independence Day! kyun kyun kyun kyun kyun? Princyz_Belle	 35 1396 2014-04-25T06:47:03Z ..Breeze..